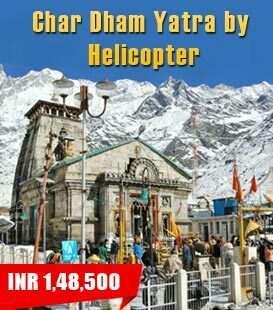 A major pilgrimage site in the Himalayas, the Gangotri Dham is an essential part of the Char Dhams of Uttarakhand. 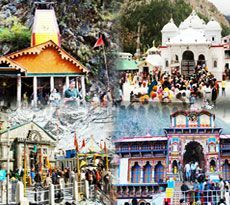 Nestled in the Uttarkashi district, the sacred place lures numerous Hindu devotees. Once here, you can enjoy some quiet time in the lap of the mountains along with seeking the blessings of the river Goddess. 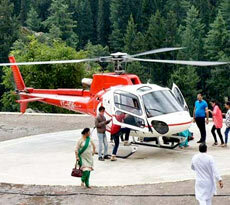 But, in order to do this, one must book Gangotri Tour Packages. 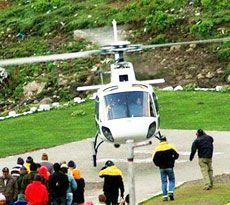 India Pilgrim Tours helps you with this by offering meticulously designed packages. A wide range of well-planned itineraries include everything that you can imagine for a comfortable sojourn. 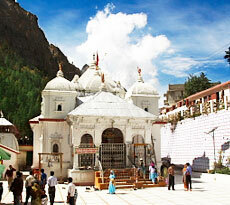 The Gangotri Dham holds a great significance in Hindu mythology. It is considered to be the highly revered pilgrimage site where Lord Shiva released goddess Ganga from the locks of his hair. For this reason, pilgrims from all over the country plan the Gangotri Yatra. 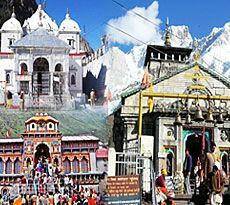 Furthermore, planning the Char Dham Yatra of which the sanctum sanctorum is an indispensable part, is supposed to spiritually enrich your soul. Visiting Uttarakhand not only help you seek blessings of Maa Ganga but also aids in appeasing Goddess Yamuna, Lord Shiva and Lord Vishnu. 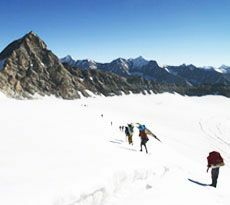 People paying homage at the Gangotri Dham also love to visit the Gaumukh glacier, which is the source of the Bhagirathi River. Snow-capped mountains, rugged terrains and the River Bhagirathi team up together to present a unique spectacle. 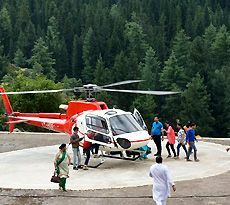 The complex of the Gangotri Dham along with the town is tucked amidst lush greenery. The backdrop of the majestic and towering hills provides the desired relief to the weary souls. 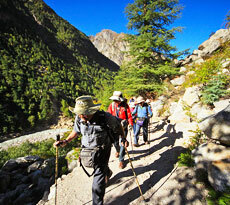 To the most out of what these scenic town has to offer, planning the Gangotri Yatra is a must. 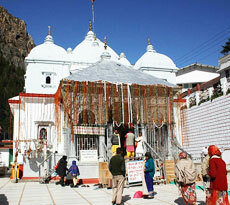 The gates of the Gangotri temple open for the public on the auspicious eve of Akshaya Tritiya which falls in April. However, the Gangotri Dham closes two days after Diwali i.e. on Bhai Dooj which occurs in the month of November. Thus the best time to plan a religious trip is from April to June and September to October. 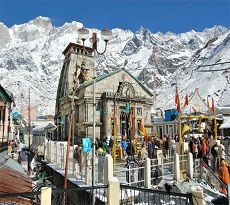 Home to many of the religious places in India, Uttarakhand is rightly titled as the ‘Dev Bhoomi’. 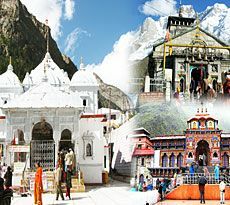 So, if you also want to explore the sacred place, choose from a variety of Gangotri Tour Packages. All these packages are designed with an aim of providing you with one of the most surreal experiences. Keeping in mind all your comforts, we also allow you to customize your itinerary the way you want it to be. Embark on the divine sojourn and appease the almighty.